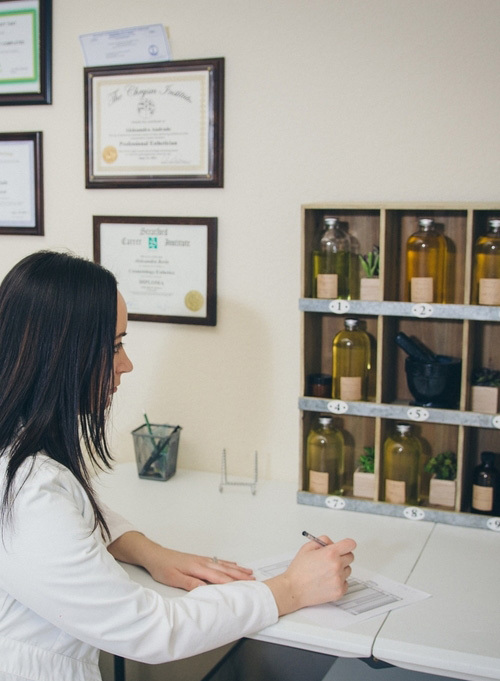 Formula Botanica teaches in over 65 countries and we are getting close to enrolling our 1000th student, which means that our graduates are starting or growing their own businesses all over the world. We are excited to share a new business that is launching TODAY (20th of April 2015): Masla Sensible Skincare. Make sure you join in with the big launch party! 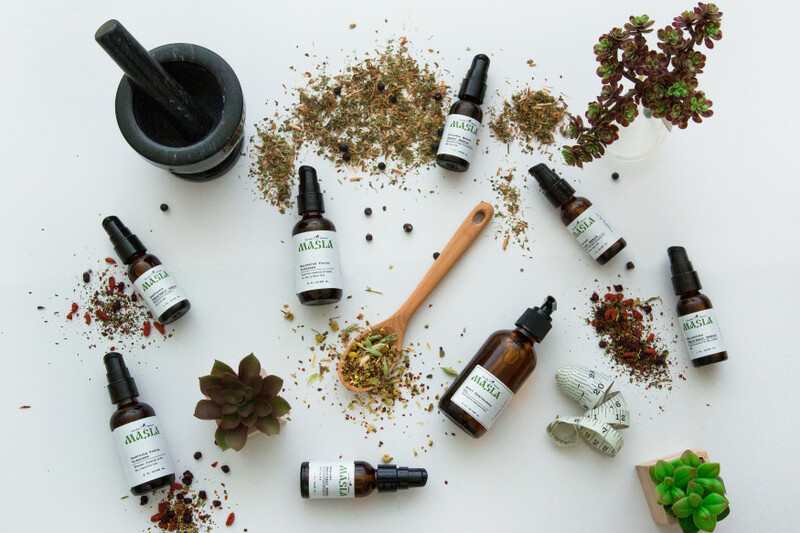 Masla’s Founder, Aleksandra Andrade, recently talked to us about her inspiration for starting her own business and we’re so pleased to share her story here on our blog. Hi Aleksandra, please tell us a bit about you and your background. We’d love to find out more about you! My name is Aleksandra Andrade. I was born and raised in Kaliningrad (Kaliningrad region is a Russian exclave “sandwiched” between Poland and Lithuania). There I have studied elementary education and dreamed of becoming a great teacher and having my own school one day. I guess I have always had the entrepreneur in me. Life however had different plans for me. At the age of 20 I moved to the USA and found my new home here. I have gotten married and became a mother of two handsome boys. Moving across the ocean has changed a lot of me. Instead of continuing my path to becoming a teacher I have dived into the world of skin care. I wanted to learn how to take proper care of my own skin and also help others. 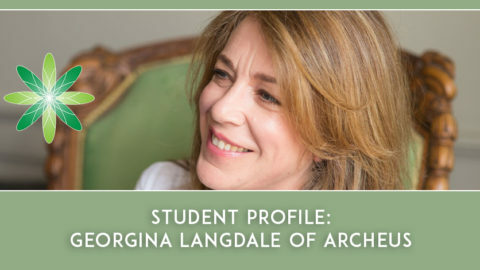 I became a licensed aesthetician and even had a pleasure of owning an esthetics spa. 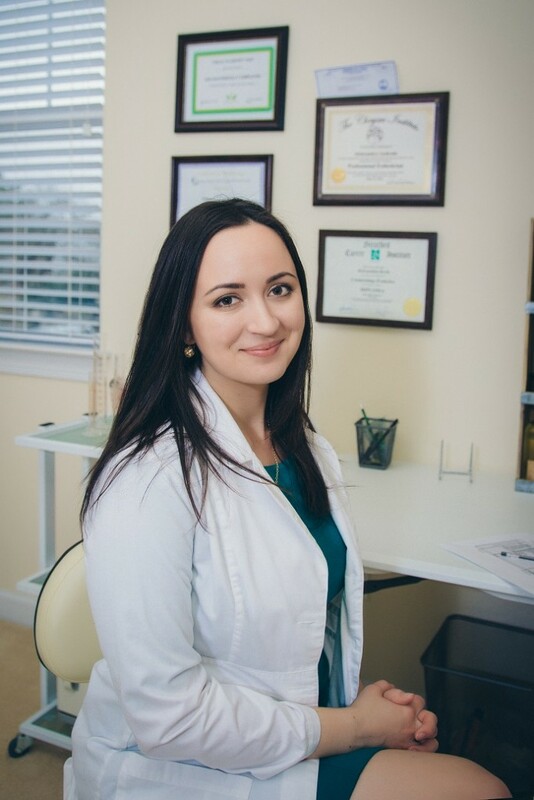 Being an esthetician with problem skin and struggling with rosacea and breakouts I have tried numerous professional grade and countless conventional skincare products. Conventional skin care products didn’t provide with any visible results. On the other hand professional products and treatments delivered concentrated formulas, but were too irritating for my sensitive skin. 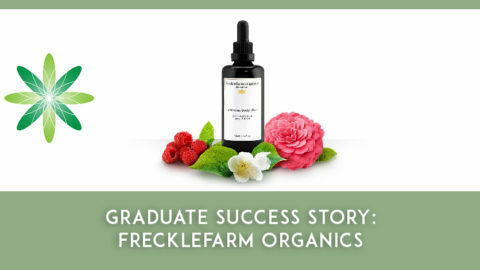 Around the time when I was pregnant with my second child I decided to take my passion for holistic skincare approach and love for natural ingredients to a different level and began experimenting with formulating. I then have accidentally discovered Formula Botanica and thought it was a sign from above :). In the past I could have not even dreamed of being able to launch my own skin care line. This is a dream coming true! Please tell us about your business – where are you based and what do you? I am located on the coast of Atlantic ocean in Virginia Beach, Virginia USA. 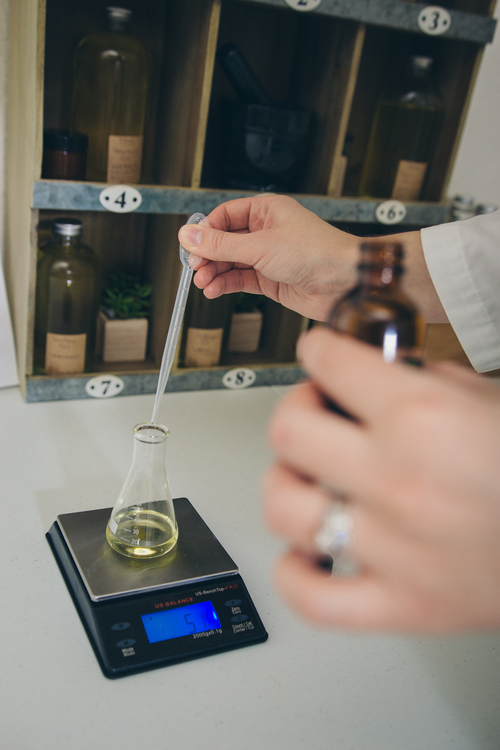 I formulate and make all of my products by hand at my in-house lab. I have originally created Masla in an attempt to make non-toxic natural and gentle yet high-performance solutions for my own skin. While testing various formulas of an oil-serum, trying to find the right one for my skin, I have discovered that a few of the formulas could potentially work wonders on completely different skin conditions. After 6 months of testing my products on my awesome friends and colleagues with completely different skin types and conditions I am finally ready to officially launch my own Masla Sensible Skincare company. 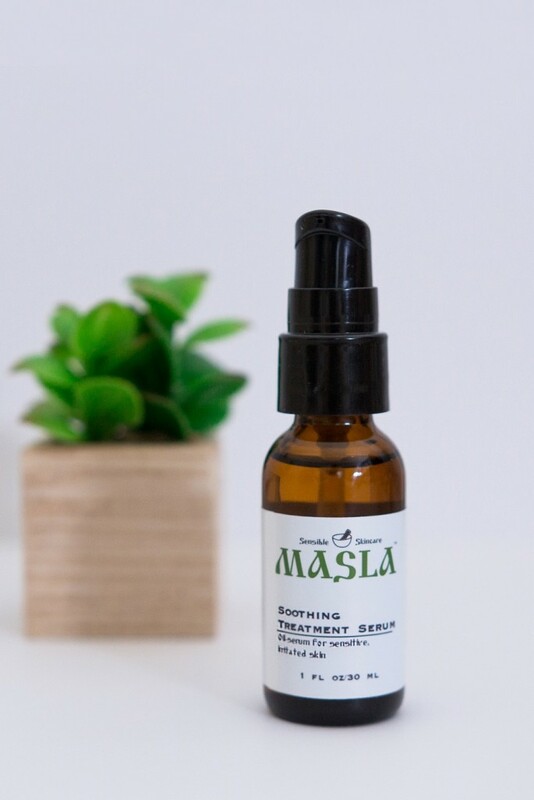 Masla currently features a collection of youth-preserving treatment oil-serums, a few gentle plant oil-based cleansers and a body contouring oil. I plan to add more products in the upcoming months. My ultimate goal is to create a complete range of high performance natural products for disbalanced, environmentally damaged, aging skin. Where did the name ‘MASLA’ come from, what does this name mean to you? I really struggled with finding the name for my company. Once a friend of mine who knew that I was working on a collection of facial oils, suggested I use the word “masla” which literally translates into “oils/butters” in many languages of slavic group, such as Russian, Slovak, Czech, Polish. When I did a deeper research in the etymology of this word I have discovered that it originated from pre-slavic “mazslo”. That could be translated as “to spread” or “to apply”. I thought it was awesome, considering that it is exactly what we do with cosmetic products – we apply and spread them on our skin. I then decided to add a “Sensible Skincare” tag line. Sensible for me is balanced. And balance is exactly what I strive for in my formulas. Sensibility is a meaningful description of what I ideally would want to achieve. Working on logo and label design was probably the most challenging task. I found my inspiration for it in russian artwork, folklore and nature. What inspired me the most were the beautiful portraits of nobel russian women during medieval times. I thought of how great and glowing their skin looked and how uncomplicated their routines most likely were. I also researched which herbs and botanicals were traditionally used for beauty and health purposes by women in those times. I have learned that many of these herbs have been proven to be very effective by modern science. Luckily for us we have so many resources available nowadays. So I didn’t stop just on botanicals and herbs that slavic women have used for their beauty rituals, but also included various exotic ingredients that come from other places around the world and are also very beneficial for skin care applications. What type of skincare products does Masla sell and which one is your favourite? 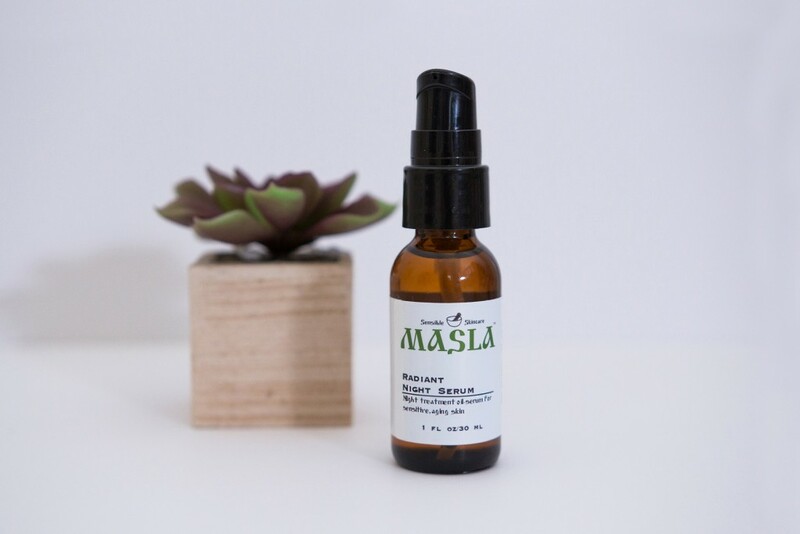 Masla currently features a collection of youth-preserving treatment oil-serums, a few gentle plant oil-based cleansers and a body contouring oil. I plan to add more products in the upcoming months. My ultimate goal is to create a complete range of high performance natural products for disbalanced, environmentally damaged, aging skin. I have 2 most favourite products that I absolutely can not leave without. First is my Radiant Night Serum. I love waking up with glowing skin after using it. Coenzyme Q10 and antioxidant-rich kiwi and pomegranate seed oils as well as camellia oil deliver anti-aging properties, while olive squalane and rich macadamia oil nourish skin. This oil-serum really speeds up the healing time of any blemishes you may have, brightens the skin and makes it more supple. The second product is Soothing Treatment Serum. It is light enough to use during the day. Even my combination skin with oily T-zone tolerates it wery well. This is also a must-have for the entire family. With its anti-inflammatory properties and soothing Chamomile and Lavender aroma it works wonders on irritated skin. I love your sentence on your shop ‘At Masla each ingredient is the key ingredient’ – can you explain this to our readers? When asked about what key ingredients do I use in my products, I like to say that in Masla each ingredient is the key ingredient. That means that my products are concentrated and don’t contain any fillers or cheap unnecessary ingredients. 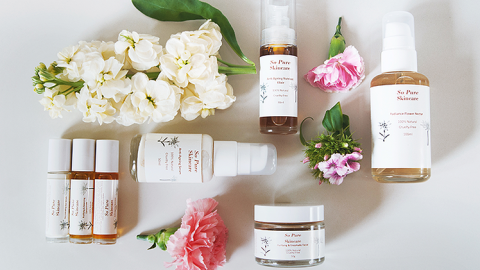 Unlike conventional skincare that usually consists of mostly water with added thickeners, texturizers etc and only a tiny percent of valuable or active ingredients, Masla skincare products consist of 100% beneficial ingredients. No water, no fillers ever. Which courses did you study with Formula Botanica? 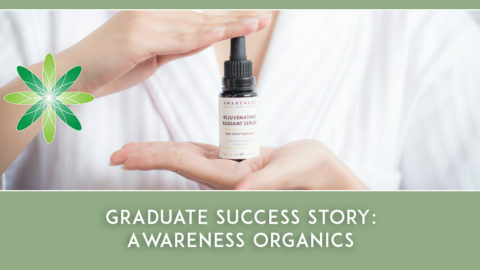 I took the Advanced Diploma in Organic Skincare Science and Certificate in Organic Anti-ageing Skincare. The hardest thing for me is to stop and draw the line. By this I mean that I can experiment with formulas, logos, labels forever. It never is good enough and I constantly feel like there is room for improvement. And it is really hard to get things done when you have your mind preoccupied by all these creative ideas. I think an important advice for new entrepreneurs would be – follow your heart and your original ideas. Of course you have to see how market responds to what you do and adjust accordingly. What I mean is it’s so easy to get caught up in other people’s ideas. When you are just starting out everyone (including your loved ones) want to offer you a piece of advice and to share all the ideas they have with you. While you should take these ideas into an account, don’t forget about who you are and what you stand for. 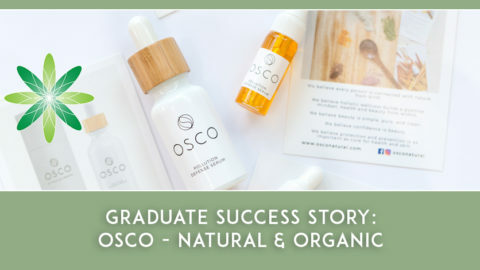 A huge thank you to Aleksandra for taking the time to tell us about her beautiful business and all her advice for aspiring skincare entrepreneurs! She is an inspiration to all of us and we love what she’s created with Masla Skincare. Make sure you visit her website (and check out the stunning product photos!) and take advantage of the big online launch party that’s being held this week to celebrate the fact that Masla’s shop is NOW OPEN! 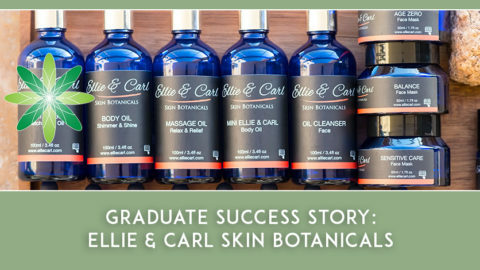 And if you too want to become a natural and organic skincare entrepreneur, check out the courses we have to offer at Formula Botanica.